Enrollment for 2018 Flexible Spending Accounts (FSA) closes today, Nov. 15. Eligible employees may set aside pre-tax dollars to cover out-of-pocket health care and day care expenses. Prior participants must re-enroll. If you do wish to participate, please submit your enrollment in Flexnet today. The HR website has been updated to include new information and resources to assist employees and managers in the annual performance appraisal process. The 2018 cycle begins Feb. 1. Learn more. A representative from the Social Security Administration will be on campus Friday, Dec. 8. Matthew Baxter will provide information about social security regulations and answer questions about social security and retirement. There are two sessions offered: 10 a.m. and 2 p.m. Both sessions will be held at the Center for Composite Material, room 106. Please RSVP here. UD’s 2017 United Way of Delaware employee campaign runs through Friday, Dec. 1. Faculty and staff can get involved by donating their time toward volunteer opportunities or by donating directly to UD’s fundraising efforts. You can help support early childhood education, college and career readiness or financial stability for families in Delaware. Learn more at United Way of Delaware’s website. New employees are invited to Winterfest, a UD welcome celebration on Dec. 11 from noon to 1:30 p.m. in Trabant University Center Multipurpose Room. Look for an invitation coming soon to your mailbox. The holiday season can be physically and emotionally taxing. 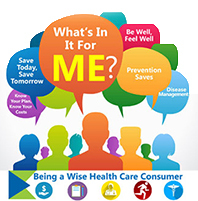 Be a wise healthcare consumer. This means understanding how to care for yourself and make smart, informed choices. View tips and information, provided by the Delaware Department of Human Resources, on maintaining a lifestyle based on good choices and healthy behaviors. Having an up-to-date will is one of the most important things you can do for your family. Will preparation service is available for employees who are enrolled in the optional MetLife Supplemental Life insurance plan. Learn more (scroll down to the Additional Resources section). Employee Development is launching two new certificate programs: UD Financial Fundamentals and Management Essentials. Both programs offer instructor-led and online formats with many job aids and additional resources included. Learn more. To contact Employee Development, email employeetraining@udel.edu. In keeping with the University of Delaware's commitment to a diverse and inclusive campus, Human Resources works in close collaboration with the Vice Provost for Diversity and the Office of Equity and Inclusion to ensure our services meet the needs of our diverse community.